In this article, we will learn below topics related to Java Packages. 1. What Is a Package? 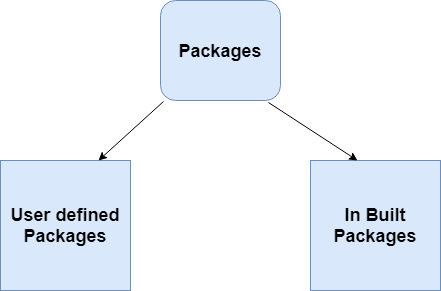 A package is a namespace that organizes a set of related classes and interfaces. Conceptually you can think of packages as being similar to different folders on your computer. You might keep HTML pages in one folder, images in another, and scripts or applications in yet another. Because software written in the Java programming language can be composed of hundreds or thousands of individual classes, it makes sense to keep things organized by placing related classes and interfaces into packages. Packages reduce complexity by facilitating categorization of similar classes. Packages provide namespace management. For example, two developers can define the same type name without ending up in a name clash by putting the name in different packages. Packages offer access protection (recall the discussion of the default access modifier). A package should be named in lowercase characters. There should be only one English word after each dot. java.lang: Contains language support classes(e.g classed which defines primitive data types, math operations). This package is automatically imported. java.io: Contains classed for supporting input/output operations. java.util: Contains utility classes which implement data structures like Linked List, Dictionary and support; for Date / Time operations. Upcoming examples are related user-defined packages. To create a package is quite easy: simply include a package command as the first statement in a Java source file. Any classes declared within that file will belong to the specified package. The package statement defines a namespace in which classes are stored. If you omit the package statement, the class names are put into the default package, which has no name. A package hierarchy must be reflected in the file system of your Java development system. For example, a package declared as package java.awt.image; needs to be stored in java\awt\image in a Windows environment. Be sure to choose your package names carefully. You cannot rename a package without renaming the directory in which the classes are stored. As we know that packages are mirrored by directories. This raises an important question: How does the Java run-time system know where to look for packages that you create? The answer has three parts. First, by default, the Java run-time system uses the current working directory as its starting point. Thus, if your package is in a subdirectory of the current directory, it will be found. Second, you can specify a directory path or paths by setting the CLASSPATH environmental variable. Java includes the import statement to bring certain classes, or entire packages, into visibility. Once imported, a class can be referred to directly, using only its name. 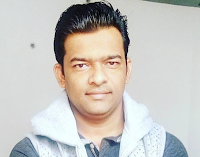 The import statement is a convenience to the programmer and is not technically needed to write a complete Java program. If you are going to refer to a few dozen classes in your application, however, the import statement will save a lot of typing. Here, pkg1 is the name of a top-level package, and pkg2 is the name of a subordinate package inside the outer package separated by a dot (.). star (*) - indicates that the Java compiler should import the entire package. Java 5 introduced a new feature — static import — that can be used to import the static members of the imported package or class. You can use the static members of the imported package or class as if you have defined the static member in the current class. You can also use wildcard character “*” to import all static members of a specified package of class. Always remember that static import only imports static members of the specified package or class. Now, let's say that you want to use this Circle class in your Canvas class (which is in a different package). The above table applies only to members of classes. A non-nested class has only two possible access levels: default and public. When a class is declared as public, it is accessible by any other code. If a class has default access, then it can only be accessed by other code within its same package. When a class is public, it must be the only public class declared in the file, and the file must have the same name as the class.